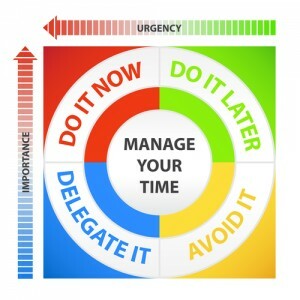 Most leaders have difficulty managing their time. There is always too much to do and the pressure can cause us to be unfocused or spend time on tasks that are not a priority. We also have a tendency to avoid difficult tasks and turn our attention to smaller, low-priority tasks that make us feel good but do not help us achieve what needs to be done. Every leader needs to consider how they can make better use of their time so they can accomplish more in less time. Leaders need to make the most of their time and this requires the leader to take a serious look at how they are spending their time. Consider how much time you spend in meetings. Is this time productive? Could your meetings be shorter and more focused? 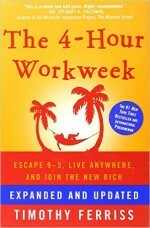 Do you take work home every night or work most weekends? 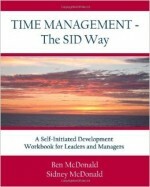 There are a number of time management tools that can help you and they are included in our book, Time Management for Managers and Leaders. 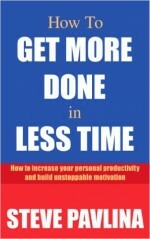 Improving your time management skills will help you get more done in less time. Not only will you be able to spend your time more productively, but you will also be in a position to help your team members grow in this important area. Consider tracking your time for a few days. Then review how you spent your time. Identify how much time you wasted. Can you identify when you spent too much time on low-priority tasks. Always schedule some open time each week to address long-term issues and concerns. 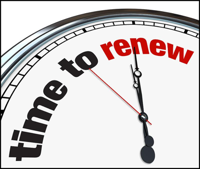 This is also a good time to review how you are performing against your goals and strategic plans. If you have any team members who have difficulty managing their time, discuss with them and help them develop tools to be more focused on their priority tasks. Be determined to improve your time management skills and behaviors. Take the short time management self-assessment on this page to identify where to improve your time management skills and behaviors. Then, get more coaches’ recommendations in Chapter 18 of The Leadership Compass: Mapping Your Leadership Direction to help you fine-tune your time management skills and behaviors. Measure your time management skills and behaviors! When answering the questions, consider how others might evaluate your time management skills. Congratulations, you have completed the Time Management Self-Assessment. As you review your results, focus on your 2 or 3 lowest scores (1 & 2). Learn more about time management and get the coaches’ recommendations in Chapter 18 of The Leadership Compass: Mapping Your Leadership Direction book to improve your time management skills. I alter my schedule as necessary to address pressing concerns. I make the best use of my time. I respond in a timely manner to requests. I am organized and it is easy for me to find what I need. I use a manageable to-do list focusing on what needs to be done. I set aside time for planning and scheduling. I prioritize my schedule to insure important responsibilities are fulfilled. I always arrive to meetings or events on time. I manage interruptions well and keep them to a minimum.